all-day Tarot Fest in Switzerland! 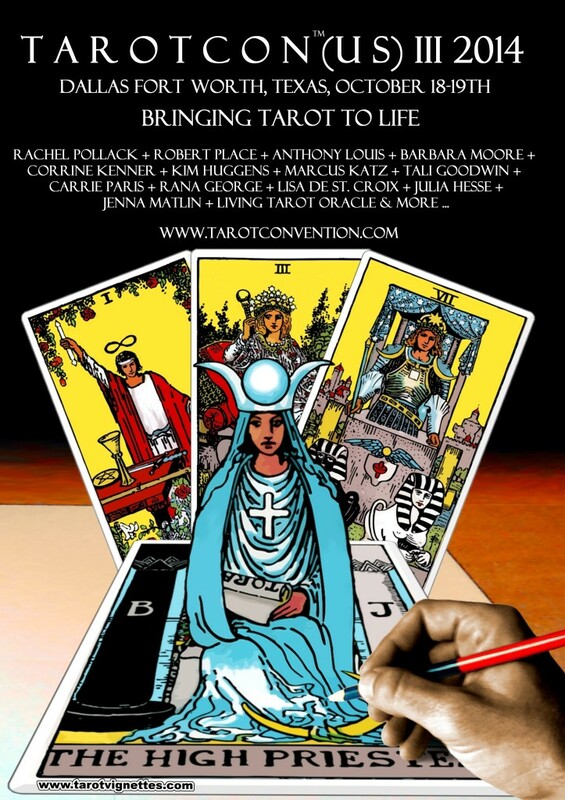 June 23, 2019 Castle Liebegg, Zurich I’m so excited to be presenting the latest Magpie Oracle at the bi-annual Tarot Fest held in the Hexen Museum in Switzerland. Details to be announced soon. Stay tuned! all-day The 50th Oregon Country Fair! The 50th Oregon Country Fair! The 50th Oregon Country Fair! 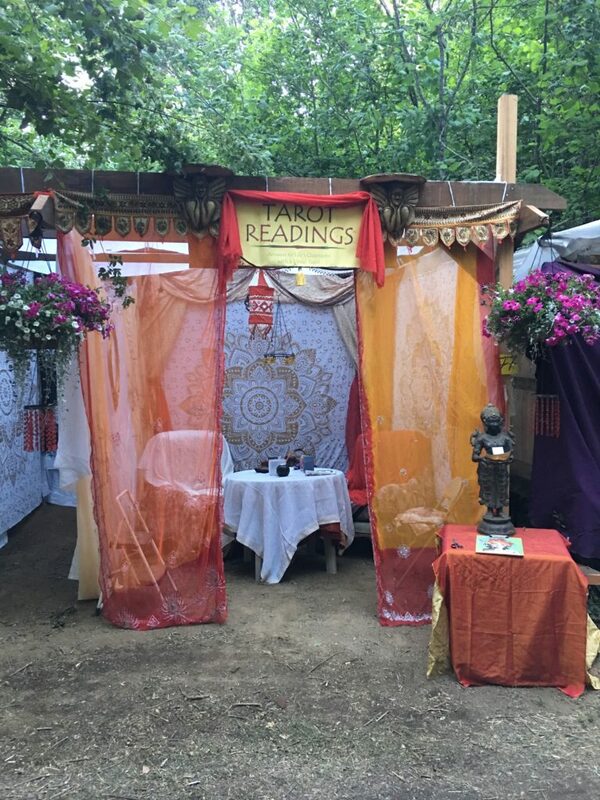 July 12-14, 2019 Veneta, Oregon Come join me for a reading in my magical booth at the 50th Oregon Country Fair! Great News! 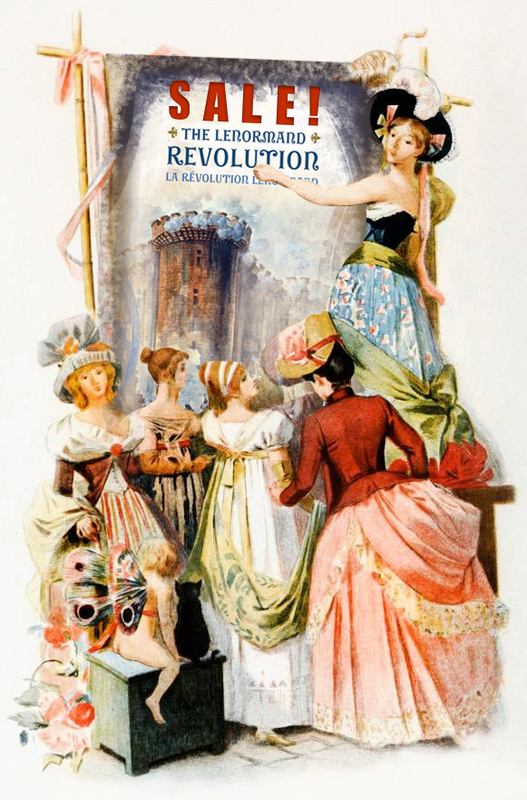 The Lenormand Revolution Deck is going on Sale! This is a a special kind of sale in that the more people that order during the sale, the more of a discount everyone gets. The minimum discount is $5 off the normal price, but if 200+ copies are ordered everyone order will get 50% off. Sale ends March 8th. Have at it diviners!! 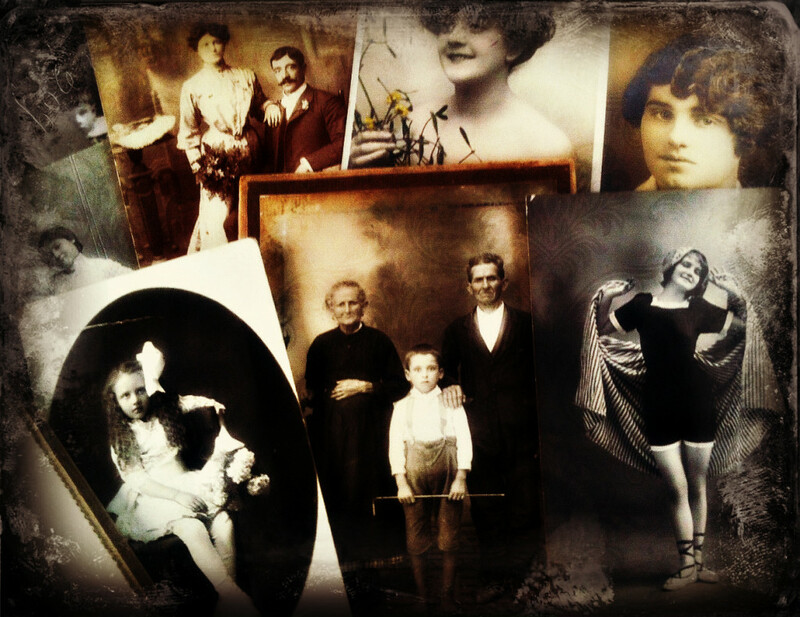 Have you ever found yourself trying to piece together the back story of people in old photos? This happened to me a few years ago when I came across a photo of my grandfather’s family, pictured to the left. I’ve seen this image many times over the years and recall my grandmother disliking it due to the poverty it portrayed. While the hardship is undeniable, the image is rich with emotion. To me it symbolizes family members having no choice but to stay behind in Southern Italy while their eldest son immigrated to America. Living in their hearts must have been a strong mix of grief with hope that their son would find a better opportunity and return a rich man. This photo, costing more than the family could possibly afford, would serve as an important reminder of why the son immigrated. 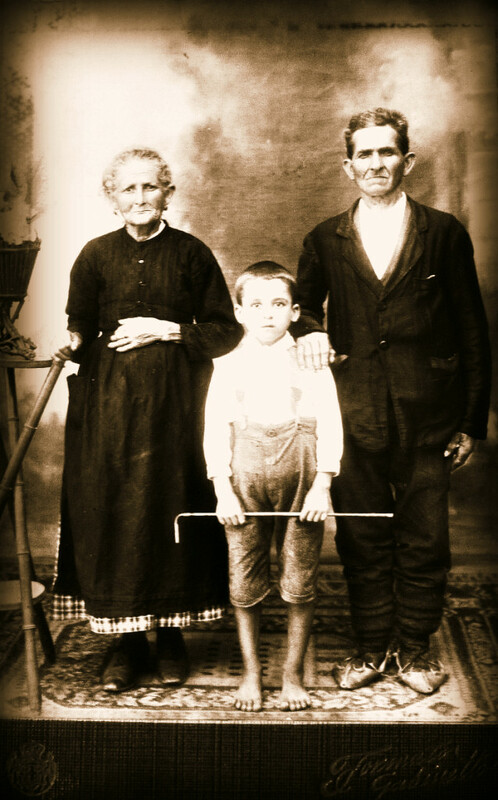 Sadly he would never return to Italy nor see his family again thus making the photo a priceless possession. No one in my family knows the name of the child in the photo and this mystery has haunted me since my youth. As I grew older I found myself viewing him as a Page found in tarot decks. He began to represent a messenger of hope for something better and new. It’s because of this association that I began an art project that took me on an unexpected journey. On January 1st of 2012 I committed to making art for the sake of aligning with creativity. My aim was to move out of the way in order to create an opening for art to express itself. 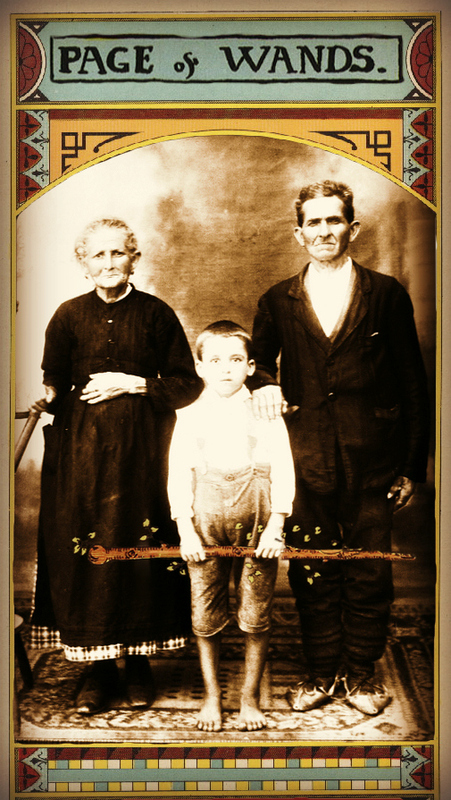 Inspired by the mystery of the child in the photo, I decided to begin my artistic quest with him and exchanged his cane with a Page’s coin and again with a wand found in a Pamela A deck. This soon followed with other overlays of tarot imagery onto cabinet cards and at about twenty pieces into the project, and through the encouragement from others, the possibility for a full deck began to emerge. Over time I posted samples of the deck on Facebook and as a result have received some sweet feedback from many of you asking when and where the deck can be purchased. However before I can point you to an order page I still need to finish the deck and could really use your help in reaching that finish line. How can you help? It’s easy. I’m looking for extra images that will help complete the deck and would love to include photos of your relations. If you have older, preferably pre-1915, sepia toned cabinet cards, and/or hand tinted or black and white photos from your family album that you would like to see included in this deck, then please, by all means submit them. I can only take high resolution scans in jpeg format. I can’t promise that all photos will be used, but what I can offer is a free deck to the submissions that do find their way into the deck. Contact me here with any questions. If you do submit a photo with your inquiry, please add any history you know of the person in the image and which tarot card you think would be a good match for your image. Thank you so much for reading, sharing this information, and possibly contributing to this project. I’d love to give our families this new opportunity to guide us. This month’s casting calendar has a simple aim– to connect you with your vision. It begins by asking you to invite your highest vision into 2015 so that you can make lasting changes. Begin by creating a space for divining. Build an area or altar where your highest vision will feel at home and want to land. Invite it in by lighting candles, playing your favorite music, or making sweet offerings. Engage your heart with your spirit and when ready, cast your charms over your casting calendar while asking for your highest vision for 2015 to reveal itself. This vision bypasses goals of weight loss, a better paying job or abstinence from guilty pleasures, and goes directly to higher guidance. Instead of seeing a thinner you, your vision might reveal a stronger you, or an aspect of yourself that knows how to feel comfortable in your own skin. Rather than seeing yourself in a job that pays more, your vision will likely transcend that possibility and reveal a career that’s in alignment with your calling. In other words, expect the unexpected as higher guidance doesn’t deal in the mundane. Instead, it positions us with our higher purpose. Take note of where your charms land. Whatever lands in the center of your sheet represents the vision that wants your attention. Look for the symbolic message from your charms and ask how you can apply that message to your life. Charge the month of January with what you’ve discovered from your reading. Charms that land on the day’s of the week support and build your vision. Look for a theme or the bigger picture and carry that vision with you. Extend the divination by asking how you can act as a vehicle for these symbols to express themselves. How will your charms help you sustain your vision and in turn (and this part is key), what support will you be bringing to the vision? How will you sustain it, what will your efforts produce and how will your higher actions change or improve your life? Big questions for a big year! Are you ready to make a change? Then do so with your highest vision as your guide. To stay connected to my readings I like to take a photo of my casting. I then add that photo to my altar and the screen saver on all my devices. The goal is to have your reading near and at hand in order to keep the vision alive. Be creative with how you maintain the message from your reading and join me here next month for more casting opportunities that support your highest vision. Until then dear diviner, may 2015 see you making a meaningful difference in the world. Happy New Year! If this is your first time to visit my site, welcome! Please detour here if you wish to learn more about casting sheets and the art of casting with the Lenormand Revolution or Magpie Oracle collection. The majority of my posts present casting opportunities, however they are not limited to my products. With a little creativity, just about any divination system will work. Go with the tool that speaks to your heart. 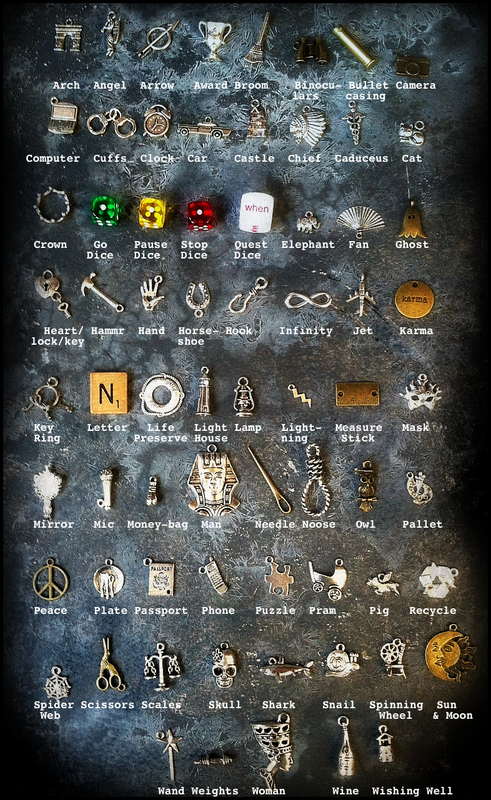 If casting isn’t your thing, randomly select and assign a charm to each day of the week. Whichever route you choose, pay attention to where your charms land and record your findings directly onto the template, a notebook or with a photo. If more than one charm shares a date on your calendar, view it as an opportunity to try your hand at symbol or card combining. If your charms bypass a day altogether, I recommend you take that as a day to keep your schedule clear. In other words, simply be. Magpie Oracle keywords can be found here, and keywords for Lenormand Loadestones here. Need a deck? I made two printable decks for you here and here. I have been assigned to sit in the Mojave Desert and record what’s known as, the Event which occurs between sunrise and sunset. There are others assigned to my team though we are located in different regions of the World. We stay connected through a hologram projection. While the Solstice isn’t implied, there’s anticipation around witnessing an annual shift in the light. As I sit in wait, I see a large snake on the horizon and realize that she too is waiting for the event. Upon this realization the sun begins to set and with it I witness the green flash, which in my dream indicates the start of the Event. I notice that the snake is moving four pieces of the sun within the curves of her body. Each piece is a burning aspect of her body, mind, heart and spirit that seek the light from the Event. I understand that in the moment of the green flash she will offer these aspects of light to the Event in exchange for renewal. End of dream. 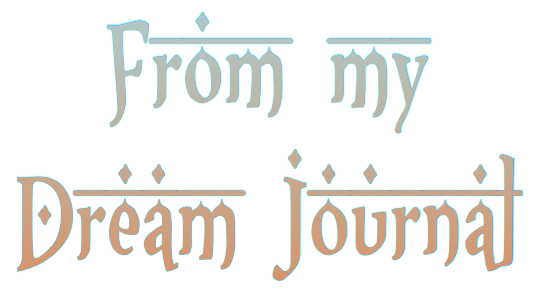 Over the years I’ve learned to treat my dreams as I do tarot imagery. Each symbol acts as an important message that’s customized to fit my situation. I make a point to highlight these key elements in my journal and then define them as symbols to live by. After this I conclude with a synopsis of the dream. Mojave: Mojave translates as, beside the water (water to me represents emotion). Near, though detached from emotion. Team/World locations: Larger community. Like minded community. Hologram Connection: Communicating through visual means. Desert: A vast, arid environment. Clarity. Honesty. Green Flash: A rare opportunity/phenomenon. A flash in time energized by the color green (my favorite color). 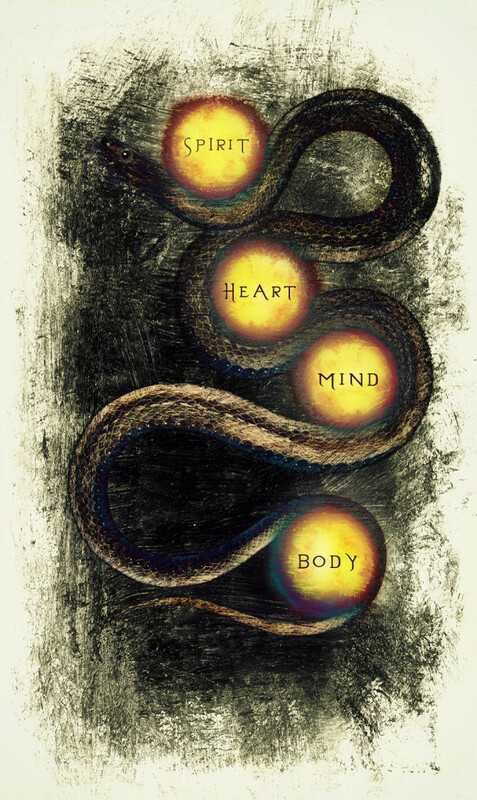 Four motif: Structure, stability in body, mind, heart and spirit. Totality. Burning Sun: Vital, sustaining energy. Fuel. 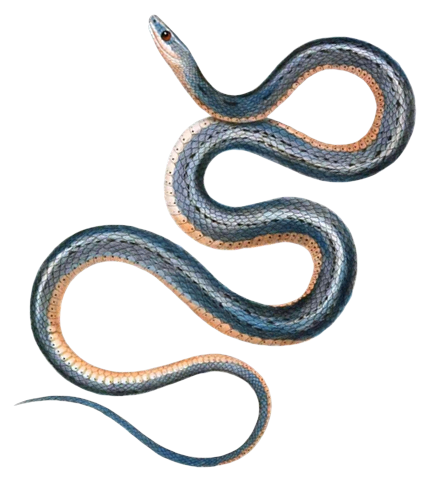 Snake holding/offering the Sun: Supporting the transformational event in the physical. Renewal. Offer your purpose to your greater community being mindful that you don’t get too emotionally attached to the outcome. Incorporate the celestial movement of the heavens while reporting a clear and honest perspective of what you see. In return you will gain vital energy and stability in body, mind, heart and spirit. Here lies the opportunity for renewal and transformation. After recording my dream I went to work on understanding it through collage. While adding the fourth sun to canvas, I realized the following image could also work as a casting sheet— one that invites diviners to connect with their transforming light by giving focus to their purpose. Here’s how it works. If this is your first time to visit my site, welcome! Please detour here if you wish to learn more about casting sheets and the art of casting with the Lenormand Revolution or Magpie Oracle collection. The majority of my posts present casting opportunities, however they are not limited to my products. With a little creativity, just about any divination system will work. Go with the tool that speaks to your heart. And now, back to casting. It’s clear that the above dream points to what I’m aligning with in terms of my purpose. 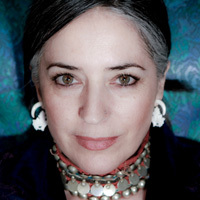 It also nods to a workshop I’m preparing to give called, Embodied Divination, where attendees are taken on a sacred pilgrimage to connect with their creative drive. I’ve been committed to giving structure to my purpose since the Summer Solstice and have made it a daily practice to acknowledge that commitment through outlets that bring it to Earth like art, writing and work. One of the biggest challenges with staying purpose-focused is learning when and how to say, Thank you, but no thank you to the onslaught of distractions that interrupt my aim. Are you familiar with this experience? Have you met the multitude of beautiful distractions that pull you away from your vision? You’re not alone. The goal of this casting sheet is to help you build awareness around what your distractions are preventing you from achieving. Begin by focusing on what your purpose is and then make a mental list of the distractions that lead you astray from that purpose. Locate and enlist the part of yourself that knows how to resist interruptions. Let’s get started. Randomly select four Magpie Oracle charms or divination cards for each of the following categories. You may also cast your charms over the casting sheet. Where they land will determine the divination. Follow their lead. 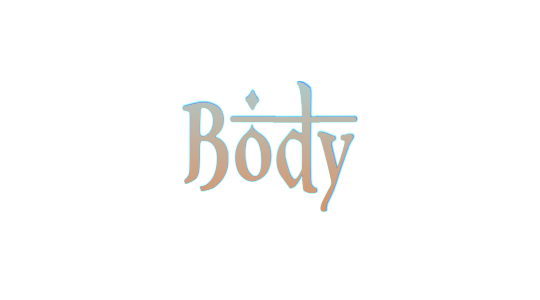 Charm 1: This is what will bring structure to the physical aspect of my purpose. Charm 2: This is the distraction I am saying no to in my physical environment. Charm 3: This is what I will gain in the physical from saying, Thank you, but no thank you. Charm 4: This is the vital transformation that’s burning to happen in my physical environment when I am distraction free. 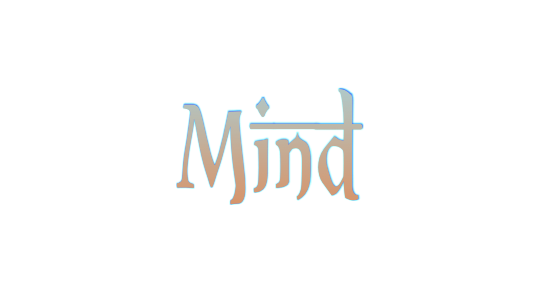 Charm 1: This is what will bring structure to the mental aspect of my purpose. Charm 2: This is the mental distraction I am saying no to. Charm 3: This is the mental gain I will experience from saying, Thank you, but no thank you. Charm 4: This is the vital transformation that’s burning to happen in my mind when I am distraction free. Charm 1: This is what will bring structure to the emotional aspect of my purpose. Charm 2: This is the emotional distraction I am saying no to. Charm 3: This is the emotional gain I will experience from saying, Thank you, but no thank you. Charm 4: This is the vital transformation that’s burning to happen in my heart when I am distraction free. 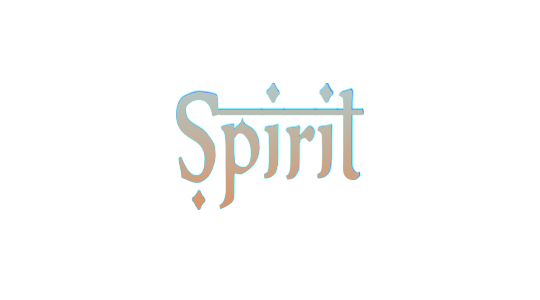 Charm 1: This is what will bring structure to the spiritual aspect of my purpose. Charm 2: This is the spiritual distraction I am saying no to. Charm 3: This is the spiritual gain I will experience from saying, Thank you, but no thank you. Charm 4: This is the vital transformation that’s burning to happen in my spirit when I am distraction free. To maintain your distraction-free outlook, keep your divination out, or take a photo of it and place it somewhere where you will give it daily attention. Return to it often or whenever your favorite distraction shows up. As always, may your future follow your highest wishes. Merry Solstice, Diviner! A little over 25 years ago I was living in Kyoto, Japan. It was my first holiday away from the U.S. and I was feeling quite homesick. I recall walking to the neighborhood shrine on Christmas morning thinking it would be the ideal spot to feel sorry for myself. Sulking on a cold bench I watched as the shrine’s caretaker maintained the grounds. To him it was just another day. He greeted me with a friendly, ohayō gozaimas, and then continued with his task at hand. Most of the people I connected with that morning offered much of the same and as the day progressed it struck me that not one wished me a Meri Kurisumasu. And while this thought could have pushed me into a deeper funk, something unexpected happened. I experienced a type of reversed Christmas spirit and found I was actually relieved to be living in a country where Christmas wasn’t a national holiday. It suddenly dawned on me that I was living in a land where I wasn’t expected to follow holiday customs. I didn’t need to send Christmas cards, give out gifts or attend holiday parties. It was an introverts dream come true! Instead of feeling sad, I felt liberated from the holiday hustle and hype. I was strangely happy to be released from the spell most Westerners fall under this time of year. I ended up spending 7 years in Asia and as each year passed, so did my attachment to the holiday. 25 years later you might ask, “Does each December find you standing in isolated wait for the season to pass?” Tempting, but no. I still decorate my home and make small gifts that reflect the Solstice or divination. In a way I have experienced the best of both worlds where the holidays can be lovely if we choose to participate or not. Whatever you choose to do this season I wish you deep love in your heart, peace in your mind, joy in your spirit and the support of a community that accepts your customs as rich gifts that add to our wonderfully diverse planet. You have the option to divine with this casting sheet in one sitting, or take it one day at a time by doing a daily cast. Go with your intuition. 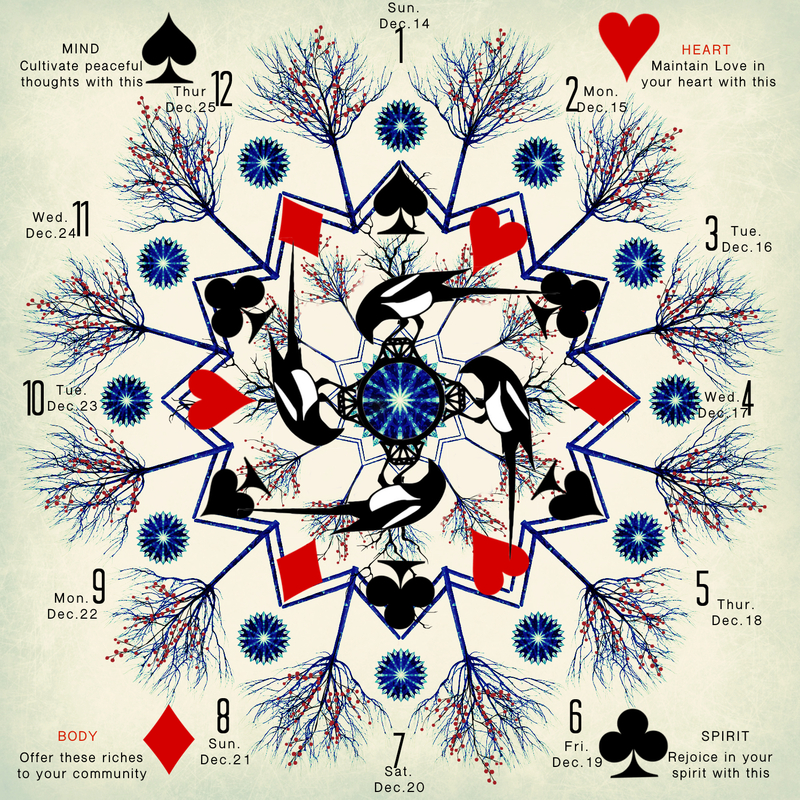 Cast your Magpie Oracle charms, or select a divination card for each of the numbers listed on your sheet. Each number acts as a countdown to Solstice (Dec. 21st) and/or Christmas day. It begins at number 1 (Dec. 14th) and moves clockwise to the number 12 (Dec. 25th). Spades = The Mind. If your charm or card land on a Spade it suggests you cultivate peaceful thoughts using your charm or card’s symbol as your guide. Hearts = The Emotions. 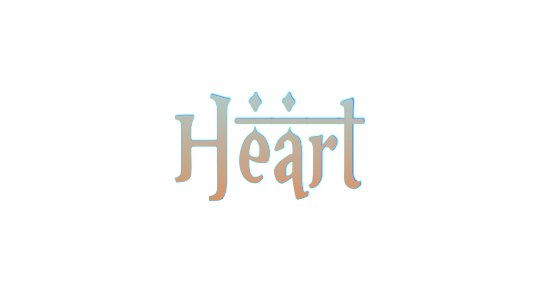 If your charm or card land on a Heart it suggests you maintain love in your heart using your charm or card’s symbol as your guide. Clubs = The Spirit. If your charm or card land on a Club it suggests you rejoice in your spirit using your charm or card’s symbol as your guide. Diamonds = The Physical. If your charm or card land on a Spade it suggests you offer the riches of your environment to your community using your charm or card’s symbol as your guide. The four suits are also represented in the four corners of your casting sheet and offer a brief starter sentence. Please customize the divination to fit your needs by adding your own words for a balanced holiday season. As always, happy divining and Merry Solstice! There must be a mini Bermuda Triangle in my office. Things just go missing without rhyme or reason and this is why I count my cards before returning them to their tuck boxes. I’ve also armed myself with inventory sheets for my casting kits and thought you would like one for yourself. The following inventory sheet was made specifically for the Magpie Oracle II’s Keepsake Box, which houses 69 casting pieces. Before putting your divination away, match your pieces to the images on your sheet. 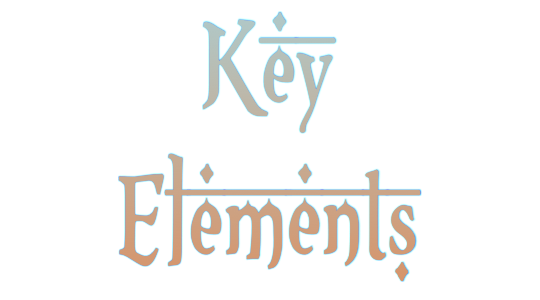 This will prevent you from loosing key elements and leave more time for divining. I’m just returning from five fabulous days of giving readings at the annual Oregon Country Fair and after each fair I’m reminded of just how stellar our cartomantic community is. I was fortunate to get to visit and meet with many friends who share a passion for divining and want to thank each of you for taking the time to stop by, reunite and introduce yourself. As I always say, there’s nothing like our Divi-Nation. Following are other opportunities for you and I to meet, celebrate and explore the cards together. Please do make sure to stop at my table, take a class, or grab a cuppa at any or all events. I’d love to know what you’re up to and what’s driving your practice. Until then, may your future follow your wishes. Tarot Unleashed. 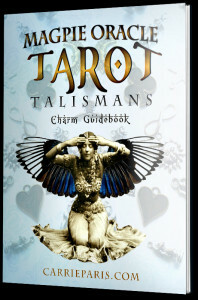 Experience the full power of the original tarot deck through the art of card divination and collection oracles. 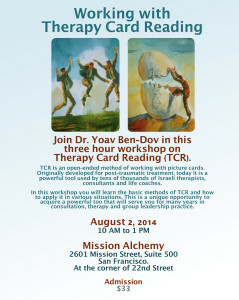 This is a rare opportunity to work with Dr. Yoav Ben-Dov, creator of the lush CBD Tarot de Marseille, and recently published the book, Tarot- The Open Reading, while he visits from Israel. Together, Yoav and I will be divining outside of the box. In this workshop we will learn to unleash the potential of the cards and collection oracles by moving away from fixed interpretations and directly experience the magic housed in tarot illustrations and universal symbols. I’ll be presenting my latest product, the Magpie Oracle II: The Keepsake Box at SF BATS and offering many new and ancient techniques on how we can accurately divine with a host of universal symbols. Join the fun at BATS as we explore and learn new divining methods from an outstanding lineup of presenters! 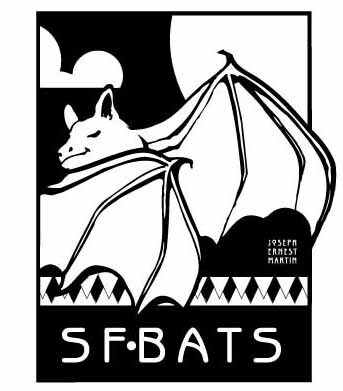 Please visit the SF BATS page to register. I’ll be offering two talks at East West Bookstore: A free evening talk and an all day workshop. Both will give focus to merging traditional casting with modern charm casting. We’ll be using the Magpie Oracle I and II as well as other unexpected items. Please visit East West Bookstore to register. Have you ever purchased a Tarot deck or a bag of runes, or tried your hand at tea leaf readings, only to feel overwhelmed by how long it takes to learn a new system? Divination was never meant to be difficult. In fact, true divining comes from applying deeper meaning to the limitless signs the world is spontaneously presenting. In this free talk we will look at just how easy it is to capture the symbol and give accurate readings by tapping into what already exists in our environment. For centuries, diviners have applied meaning to a variety of objects to locate answers. Today we’ll look at the historical nature of traditional object casting and what’s now known as contemporary collection oracles. 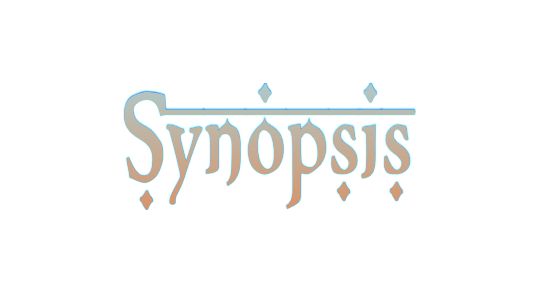 We’ll put to the test a method of charm casting and divination by using shells, dice, coins, and the Magpie Oracle I and II, modern oracles with an ancient kick. The goal is for you to leave this workshop with a new divination system that works. One that’s accessible, instant, and easy to use. Tarot in Texas? That’s right! And just like all things Texan, this is one big event. This year I’m excited to be presenting a number of techniques I find useful for running a successful online business. For years I’ve watched talented readers fail in business due to the fact that they are overwhelmed when it comes to developing an online presence and understanding all of the options that go with it. I look forward to providing attendees with a workshop on creating, building and maintaining a considered online presence, for personal and/or professional reward without selling your soul or draining your life. If you have an online presence, or are trying to create one, this class is for you! 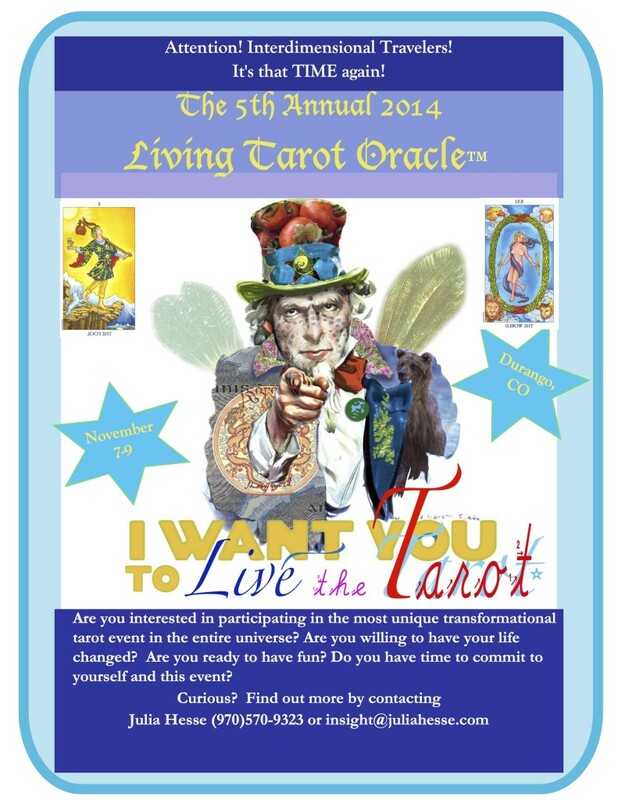 The 5th Annual Living Tarot Oracle (LTO)! There’s nothing like the LTO. This is one of my favorite tarot events hosted by the Sinister Sisters, Julia Hesse and Tami Graham. 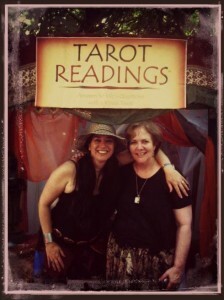 Come to Durango and receive a reading by living tarot cards. A must see for all who love the cards! 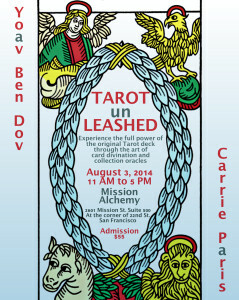 This is a new tarot gathering hosted by Devera Publishing with one of the largest line-ups I’ve yet to see. I’m excited to be among many friends and will be presenting the Magpie Oracle II: The Keepsake Box. In this class we will look specifically at timing in divination and making accurate predictions using one of the Magpie Oracle’s key tools; dice. I am thrilled to be a main presenter at Readers Studio 2015 in New York. Join me and hundreds of other kindred card lovers as we bring new and exciting divination techniques to the table. Early registration is now open and recommended as last year’s event sold out. 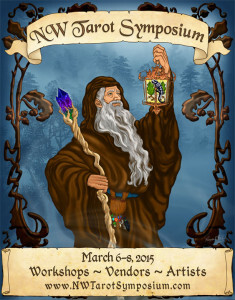 The 46th Annual Oregon Country Fair! Come to the Fair and get a reading in my gypsy booth. Contact me here to sign up early as my appointment book for all three days fills by Friday. Celebrate with us July 10, 11, 12, 2015 and delight in the Fair’s world class entertainment, hand-made crafts, delectable foods, educational displays and magical surprises at every turn of the path. We invite you to join us in our wooded setting, 13 miles west of Eugene near Veneta, Oregon for an unforgettable adventure. Click on the calendar and print. 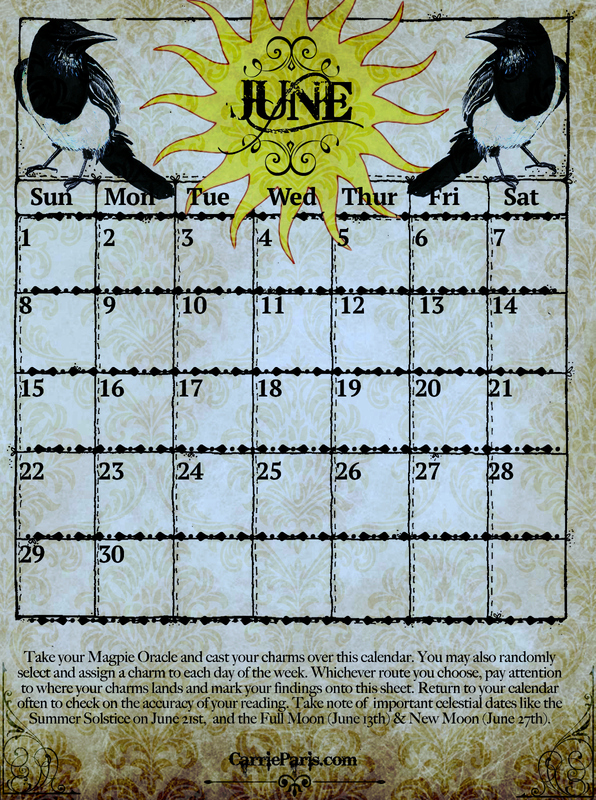 Take your Magpie Oracle, though any divination system will do, and cast your charms over the calendar. If casting isn’t your thing, you can randomly select and assign a charm to each day of the week. Whichever route you choose, pay attention to where your charms land and mark your findings directly onto this sheet. If more than one charm shares a date on your calendar, view it as an opportunity to try your hand at card combining. If your charms bypass a day altogether, I recommend you take that as a day of rest, or removing debris from your schedule. Return to your calendar often to reflect and check on the accuracy of your reading. 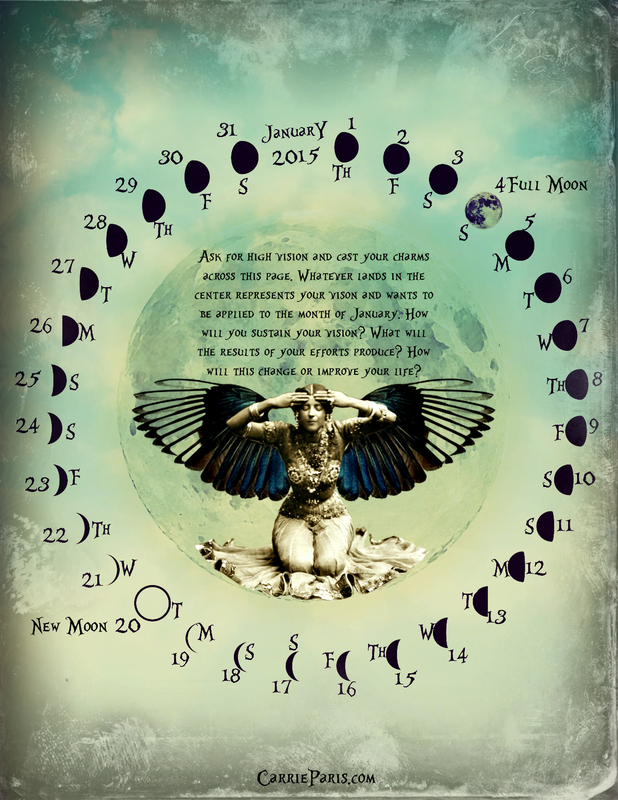 Take special note of important celestial dates happening this month like the Summer Solstice on June 21st, seen as a time for peak experiences, and the Full Moon (June 13th), which is an opportune time to ask what you would like to see manifest by the light of this moon. The New Moon (June 27th), is for creating new beginnings. What are you beginning or setting out to do? How will you start and what will change for you? As always, happy casting and may your future follow your wishes. Magpie Oracle keywords can be found here, and keywords for Lenormand Loadestones here. Each year on the 25th of May I like to celebrate World Tarot Day by making a video spread that viewers can try at home. However this year I wanted to share with you my process of making what I call, mandala spreads. This video gives a short example of what I create after a tarot sessions with a client. The idea is that each mandala serves as an expression of my client’s focus. It provides them with a creative link to their story and works as a portal for insight. It is my job and honor to build an artistic representation of that focus and hold vigil over it until my client actualizes their reading. Perhaps on this day that celebrates all things tarot, you too will feel inspired to build an altar of your own. One that awakens the muse within and promotes self-knowing. Happy World Tarot Day, and may your own nature be your guide in life.